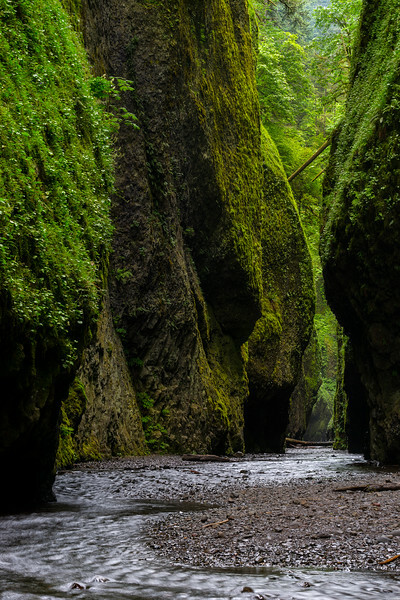 A interesting gorge to hike. First there's a huge log jam you need to climb over. Then this long tunnel view up the creek. It can be river or mostly dry as you seen in my photo. The next section was so deep the water would have been up to my neck. Thankfully the group opted out of swimming to the next section. What we missed though was the actual lower falls. Maybe next trip I'll be prepared to swim for it.